Is he scared or is he just excited for the holiday season? We'll let you decide! 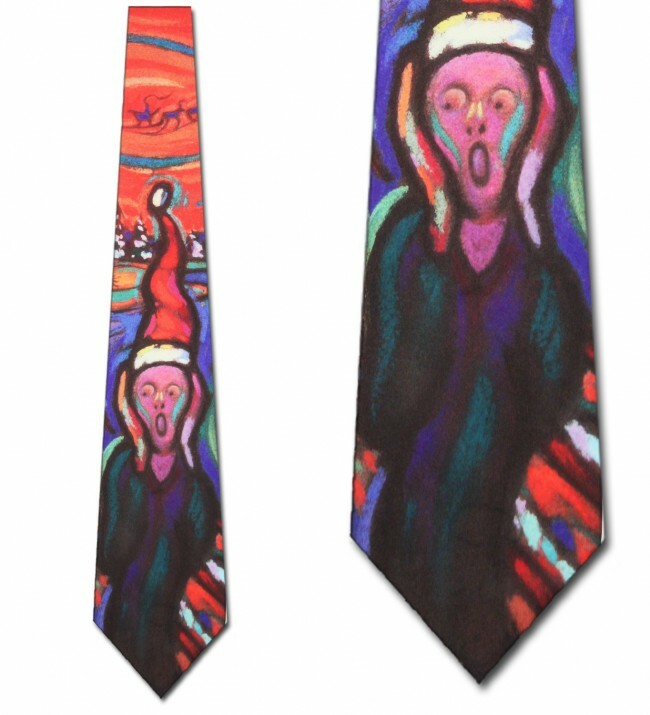 This Christmas version of 'The Scream' inspired by Edvard Munch's most famous work, The Scream (1893), depicts not so much an incident or a landscape as a state of mind. 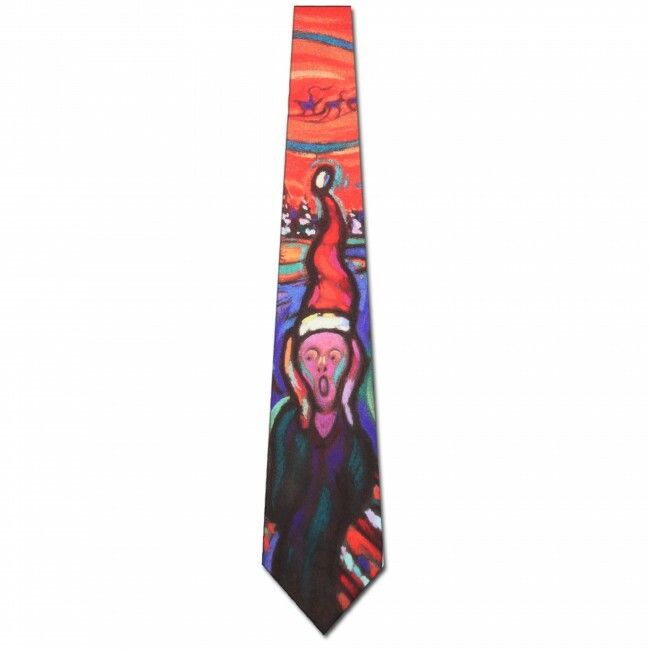 This Scream Christmas necktie features a colorful depiction of the world-famous Scream painting with the figure wearing a Santa cap. All of this is contrasted against a snowy-tree background. 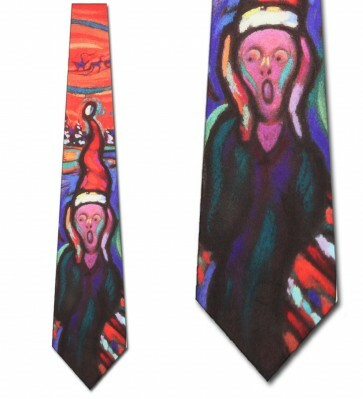 Show your love for the holidays and for art. 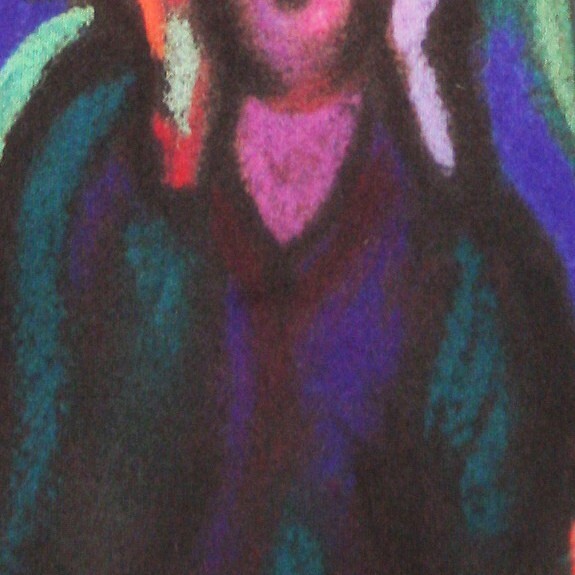 A great gift for friends, family and art enthusiasts this holiday season.